← Win a Free Copy of TMAHA from The Old Schoolhouse! Now Available at Rainbow Resource Center! The Master and His Apprentices textbook and companion teacher guide are now available through Rainbow Resource Center (rainbowresource.com). 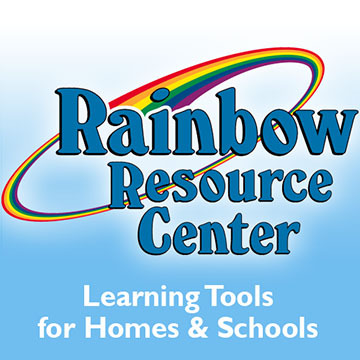 Started in 1989, Rainbow Resource Center is the premier homeschool product catalog with over 50,000 items, ranging from individual favorites like Saxon Math, Apologia Science, and Andrew Pudewa’s Excellence in Writing to complete curriculum sets from publishers like Alpha-Omega, Abeka, and Bob Jones University Press. Of course, there are also countless other options including a myriad of standalone elective courses. If you have not yet looked through a Rainbow Resource Center Catalog, I suggest you do! I still have fond memories of pouring over the annual catalog with my mom as we picked out our homeschool curriculum when I was in high school. Naturally, we had our core curricula, like Saxon Math, which didn’t change, but choosing new elective classes was always a highlight for me. In fact, letting students research and choose their own additional classes outside of the core curriculum can be a great way to get students, especially high schoolers, excited about the new school year. Plus, you never know what this exercise could lead to as kids experiment and learn about fields related to their individual interests. In fact, it was experimenting with art and trying some different curricula in high school which ultimately set me on the path to writing my own homeschool curriculum! Now, being a visual learner, I often wanted to physically see curricula before making a final decision – knowing I would have to complete whatever I chose! This is one of the many reasons that homeschool conferences, with their extensive vendor halls, are so helpful. Every year, Rainbow Resource Center has one of the largest booths at dozens of conferences all over the United States (including Alaska). More impressively, a typical booth layout has between 3,800-4,200 products displayed! While some of these resources can be purchased on the spot, others are samples and will need to be ordered and shipped to your home. However, all orders placed at homeschool conferences receive free shipping, even if the total doesn’t hit the usual $50 threshold to receive this discount. A list of conferences Rainbow Resource Center will be attending in 2018 can be viewed here, and we and we highly recommend you check them out when they are in your area.